From the early Case 480 and 580 series to the Case 570 Series Skip Loaders we have today, Case has always provided an excellent Skip loader for anyone needing to do grading or landscaping projects. When your Case Skip Loader Tires start slipping or leaking, contact the staff here at Monster Tires. From working in the construction industry we can help you decide exactly which Case Skip Loader Tires are best for your machine and projects. When you work with Monster Tires you get the best prices and service in the industry on all your Case Skip Loader Tires. When it comes to your construction equipment, it all depends on the quality of your heavy equipment tires. If you have good tires for your Case Skip Loader, your workers are safer, your construction site is safer, and you can get the job done better. Whether you need 580C – 580K Skip Loader Tires, 570LXT – 570MXT – 570NXT Skip Loader Tires, or 480 – 480LL Skip Loader Tires for your Case Skip Loader, we have the Case Skip Loader Tire Size Options to meet your needs. We carry only the Highest Quality Case Skip Loader Tires. At Monster Tires, we set a premium on providing you with the highest quality tires at the lowest prices. We carry Front Tire Sets for Case Skip Loader, Rear Tire Sets for Case Skip Loader, and Sets of four tires for Case Skip Loader, as well as all other Heavy Equipment Tires to get your piece of equipment rolling again. 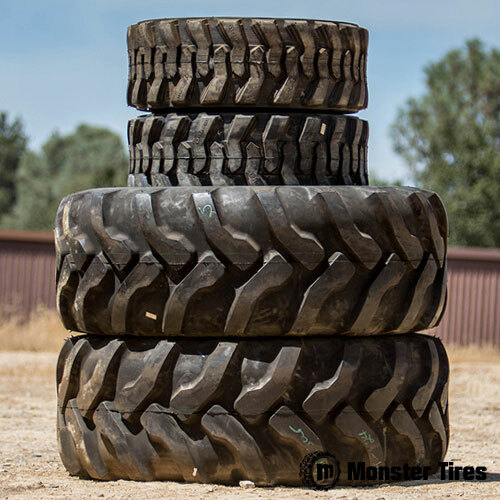 Trust in Monster Tires for your next set of Case Skip Loader tires!